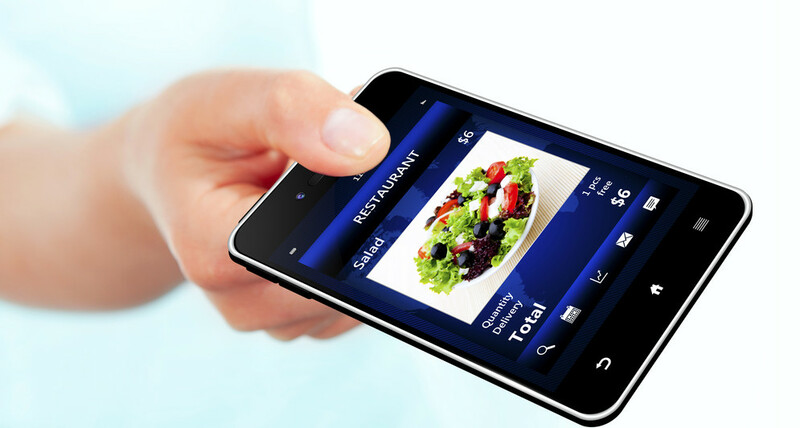 An App for That: Technology as a Solution to Our Broken Food System? Taken together, the opinions and proposals in these essays raise some significant questions about what technology can achieve in the face of today’s food system problems. It also shines a light on a race to secure new capital and solutions geared towards the most elite eaters. For example, Michiel Bakker, Director of Global Food Services for Google, claims that the company’s food service will set an inspiring example for corporations everywhere without ever discussing how Google Café’s model will transfer to employees who are not provided free meals. Serving 75,000 free meals a day throughout their worldwide offices, the Google Café is a significant departure from the untraceable cafeteria food of old flexing buying power to support new markets for alternative agricultural products. Private pockets of healthy and environmentally conscious eateries for corporate employees target the population least vulnerable to chronic problems of a diet heavily marketed and subsidized by policies and large agribusinesses. On a similar note, Alex Lorton, cofounder of Cater2.me, which facilitates lunch service for corporations suggests the future of hacking food is improving preference algorithms, just like how Amazon tracks buying habits and makes suggestions of what to purchase next. The value of this potential technology could be matching the demand of an environmentally conscious eater to a particular farm or restaurant, but is equally likely to be used as tool for the most powerful food providers. Just as Amazon has been known to steer buyers away from certain content providers that don’t agree with its policies, Lorton’s preference algorithm can help the distributors guide eaters to their product over a chosen competitor, hardly a disruptive technology to reform corporate consolidation of the food industry. Joanne Wilson, an angel investor, clearly identifies the profit motives behind the explosion of tech and food startups. She begins her editorial by highlighting OpenTable, the online reservation service (bought by Priceline.com for $2.6 billion) and its controversial offspring, Resly, a service that allows users to auction off reservations to high end restaurants. Wilson is most intrigued, however, by KitchenSurfing, a clearinghouse for private chefs for hire so that you can “have a chef over and tweet it out to the world with pictures of your amazing meal.” Wilson’s editorial is frank in its attention to the potential new capital. Rather than promise food system change, Wilson cuts to the chase: Technology meets dining where there is cash to be made. The essays titled “Why We Need to Hack the Farm Bill,” by Matt Rothe the co-founder FEED Collaborative and “Hacking Dining Means Giving Restaurant Workers a Wage,” by Local Food Lab founder Krysia Zajonc are two exceptions in the series that prove the rule. I agree that the issues “of consequence” are those at a much higher level than the chic or corporate restaurant table, but I question if “hacking” is the appropriate venue to approach legislative reform. Zajonc addresses the doublespeak of the farm-to-table movement, noting the injustice of high-end sustainable restaurants that provide an improved lifestyle for farm animals but not for the tipped workers who prepare and serve the food. But, like Rothe, Zajonc cannot properly identify a viable role for technology. For example, Zajonc suggests that those in the tech space could support restaurant workers when they organize a boycott. Perhaps developers at the upcoming hackathon will create a breakthrough app that facilitates mass boycotts of unethical restaurants (called Boycottly?). But even if they do, how would an investor secure the ad-buys for the app that illuminates the exploited workers of the best New York restaurants? Tools like local food aggregator Good Eggs, and DIY community supported agriculture Farmigo rest firmly on the belief that consumer choice is the best method for change. The economic power of a wealthy consumer certainly has a role to play in creating demand for products and practices that support improved environmental and working conditions. Yet, perhaps the most troubling consequence of Good Eggs and others in that genre, is that they could woo the public into complacency by getting them to think they are contributing to a major reform. Don’t get me wrong, I loved receiving artisan kimchi in the mail from Good Eggs. But solutions to my “absence of instant kimchi” problem will not solve the larger agricultural and social issues that these tech innovations claim to address. Indeed, technology can make more of us into better, more informed consumers, but that’s only part of the solution. I’d like to see truly transformative tech tools that address root problems in the food system instead of being fetishized as “disruptive” simply because they involve advanced technology. Otherwise, their solutions will only preserve the status quo, protecting the sustainability of the tech industry rather than driving for true social change in the food system. Yet, food has its own laws of scaling, in an acre of soil, the growth speed of an apple tree. Yet, I'm happy that more bright minds are now looking at food, instead of "monetizing eyeballs". Let's embrace them! None of them, on their own, solve the "larger agricultural and social issues". It takes many small pieces. Technology will be part of the puzzle. But let's not expect too much from it. I agree, it feels like there should be a great tech innovation to magically fix the food system, but all are just icing on a cake made from pesticide-soaked, industrial agriculture corn. We need many, many more people involved in small- to medium-scale agriculture, growing food with regenerative farming practices (sustainable, natural farming, organic, whatever...). I'm sure tech can help increase exposure for new/small farmers (Farmigo, CitySprout, Good Eggs, AgLocal). And, there are cool tools to help in the actual day-to-day farming (AgSquared). But, at the end of the day I think the biggest issue is reducing barriers to new farmers— learning the ropes of growing and getting access to ag land near urban centers. There's gotta be a hack! I agree with what I think is the main premise here--that technology can't (or hasn't) solve(d) the bigger problems in the food systems crisis, like paying workers living wages, creating equal opportunity for small-medium farms, greatly overhauling the Farm Bill, etc.--but I think you've done yourself a disservice by embracing technology so heartily at the end of your article, Mr. Calo. Why not suggest other ways of engaging the issues like changing policy or organizing small farmers? It seems like there a great many other options here than tech, particularly a group of profit-driven techies that only care about dollar signs.